JIC Global is comprised of former United States Special Operations medical providers and expeditionary health care experts experienced in providing care and medical education and training. We have health systems experience from rural America to Washington, D.C. to foreign combat areas, advising policy-level ministries and regulatory bodies. 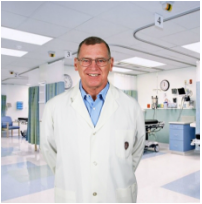 Dr. Warner Anderson has over 46 years experience as a medical provider, educator and curriculum designer. He has held senior positions in the Department of Defense, the U.S. Army, and the Indian Health Service. In the Defense Department, Dr. Anderson was the first Director of International Health, established to develop coherent policy and doctrine on how the US military uses health resources across the entire range of military operations: in disasters and humanitarian assistance, disease surveillance and detection, and as an instrument of Smart Power. 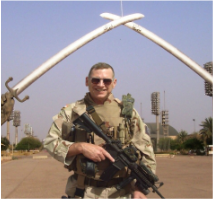 As a U.S. Army colonel, he was assigned to the United States Special Operations Command, where he was Deputy Commanding Officer of the Special Operations Medical Group, and Associate Dean of the Joint Special Operations Medical Training Center. He deployed twice to Iraq, where he was decorated for bravery and awarded a Purple Heart Medal for combat wounds. As Chief of Emergency Medicine for the largest Indian Health Service emergency department and ambulatory clinic in the nation, and emergency medical services medical director for a multicultural area the size of Connecticut, Dr. Anderson developed and coordinated complex services across several jurisdictions and hundreds of square miles, at all levels of care.